You may have read my previous posts on my Netbook escapades. In short I’m now on my third, except it isn’t actually a Netbook - but more on that in a minute. 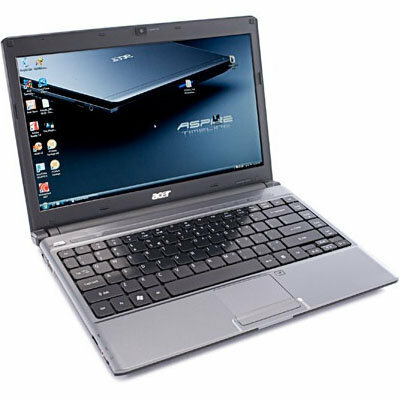 First, a brief recap: the original netbook I bought was awful. Thanks to its 10in screen, it was too small to be of any real use and its VIA processor was too slow. I then thought I’d found the perfect Netbook in the form of a Philips Freevents. It had an 11.6in screen and a Core Duo processor that was even capable of playing flash-based HD video. Unfortunately, a few months into the proceedings it started to... well, it can only be described as fall apart. Firstly certain keys on the keyboard would stop working regularly, each time requiring a complete disassembly of the machine. The case itself proved to be less than sturdy too, with several sections starting to become loose. Fearful it just wasn’t up to the job, I started looking for something else, especially as I was soon moving house and looking at a slightly longer, but more laptop friendly train ride to work. Thankfully PC Pro had just conducted a group test of CULV machines which seemed to be just what I was looking for. I’d already decided I didn’t need much power. I would be watching videos on occasions but the machine was mainly for web browsing at home and for typing on when I'm commuting. I wanted very good battery life and weight was also an issue – I didn’t want to be lugging 2kg of copper and plastic around with me all day – 1.4kg was the maximum and I also needed something with a screen a little larger than 11.6 inches as I’d found that even the keyboard on the Philips Freevents wasn’t quite big enough. Thankfully there was a clear winner in the form of the Acer Aspire Timeline 3810TZ. Among its perks was a battery life in excess of eight hours (WIN! ), a 13.3in screen, 4GB RAM, and also a webcam and microphone. The gods were smiling too – I’d just received a 20 percent discount voucher for eBay and as luck would have it, a reputable retailer was selling them for a decent price. The Acer Aspire 3810tz is just about big enough at 13.3in to be comfortable to use regularly and its LED backlit screen is bright and vibrant. When it arrived I was extremely impressed. Firstly, it's incredibly light for something nearly as big as your average laptop – just 1.4kg which was the same as the Philips I’d had before despite it being a much smaller machine. The screen was very bright and vibrant too thanks to LED backlighting which I’m guessing aids conserving battery life. They weren’t lying about that either – I can charge it on a Sunday night and not have to find the power adapter again till the following weekend having used it on the train for an hour most days. The keyboard stretches close to the end of the chassis and is nearly full size so typing is infinitely better than on a netbook. However, performance is still an issue. It can cope with playing HD content and web browsing is smooth and snappy. Word processing isn’t an issue but one thing I was a little disappointed in is its inability to play BBC iPlayer HD content smoothly. HD Flash video it seemed was a step too far. However, I later noticed that the onboard Intel graphics is supported in Adobe’s GPU hardware acceleration in the up coming 10.1 version of its Flash Player. Having seen what a difference this can make to HD content from BBC iPlayer on an Ion-equipped machine, this sounded like the answer to my prayers. I found it made no difference with playback still as choppy as the Southern Ocean. Instead of it being Intel's fault, I found that forums were awash with people saying that they no longer saw any performance improvements. Apparently the BBC have fiddled with the service since I last tried the 10.1 beta and the two were no longer talking to each other with people reporting the issue literally happened over night. Hopefully a work around will be available and standard content is silky smooth. The 3810TZ shows no signs of falling apart, its battery life is a real boon, it fits in my small rucksack, is not too heavy and is generally a joy to use. The new range of CULV ultra portables aren’t much more expensive than many netbooks and they bridge the gap nicely between something that’s slow and too small to use on a regular basis, and a full fat laptop. Maybe I wasn’t looking for a netbook after all. Do you find netbooks too small to use? Do you get on with them okay or have you gone for something a little larger and more powerful? Let me know in the comments.